This smart one door TV unit gives you storage with style and makes an excellent addition to the Cobham Painted series of furniture. Create a statement in your TV room or lounge with this handsome TV unit. 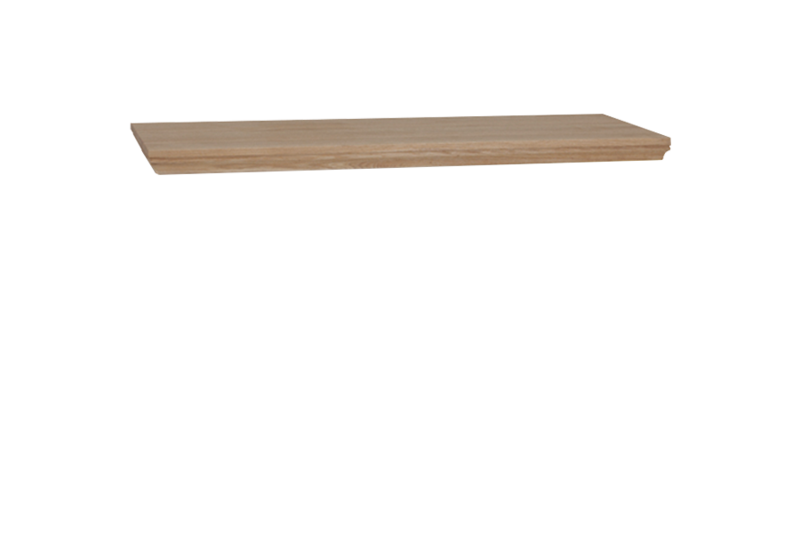 Crafted from painted Birch for the unit, and a natural Oak top, it is the epitome of a modern classic, boasting a two tone appearance and slatted detail. With storage shelves which are ideal for books, DVDs and games and a generous cupboard, it is an essential piece of furniture guaranteed to receive many admiring glances. 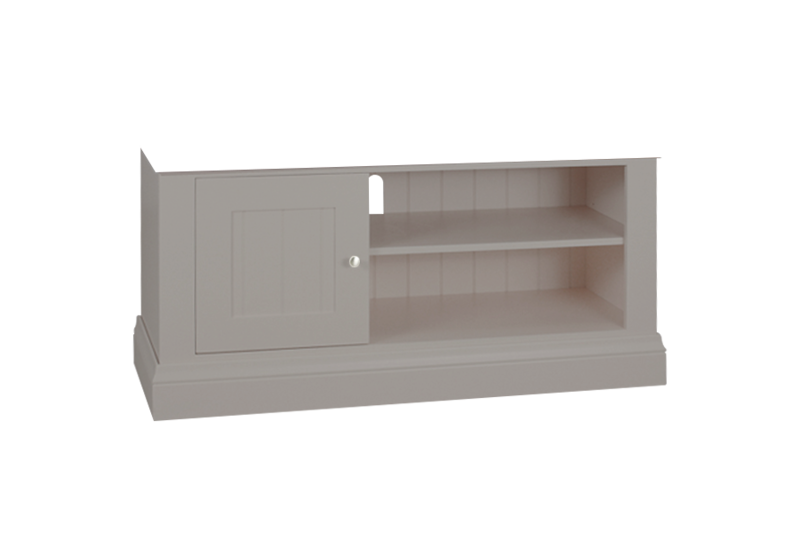 Co-ordinate the Single Door TV unit with the other furniture pieces in the Cobham Painted collection such as pedestal dining tables, nests of tables and side tables to complete the perfect look.